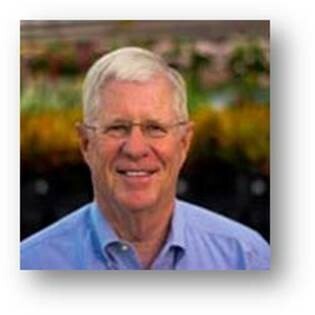 John Cosby, co-founder and vice president of real estate for Calloway’s Nursery, Inc., was 2015 president of the board of directors at Dispute Resolution Services of North Texas Inc. He began serving as board president in 2013. Mr. Cosby brought to his role hundreds of hours of mediation experience and extensive experience in commercial real estate development, having developed all of the Calloway’s retail locations. His work reviewing, selecting and improving retail sites informed his understanding of the importance of strong communication. His work in lease and acquisition negotiations with a broad range of individuals and business groups contributed to his belief in the value of compromise for successful outcomes. Calloway’s Nursery, Inc., a publicly owned company with over 300 employees, was founded in 1986 and operates retail stores in Dallas, Fort Worth and Houston. Mr. Cosby also had prior career stints with Sunbelt Nursery Group in the early 1980s and was involved with real estate activities at Pearle Vision Center and Pier One Imports. He served as past chair of the Optical Federal Credit Union. During his tenure as president of DRS North Texas board of directors, he saw an expansion of services and communication outreach, efforts aimed at further demonstrating the effectiveness of alternative dispute resolution through affordable mediation services and training. The 14-member DRS North Texas board guides a highly qualified four-person staff led by DRS North Texas Executive Director Jacquelyn A. Flynt, J.D. A long time Tarrant County resident, Mr. Cosby holds a Bachelor of Business Administration from Texas Wesleyan University (1969) and his Master of Business Administration from the University of Dallas (1983). He and his family live in the Mistletoe Heights area of Fort Worth.